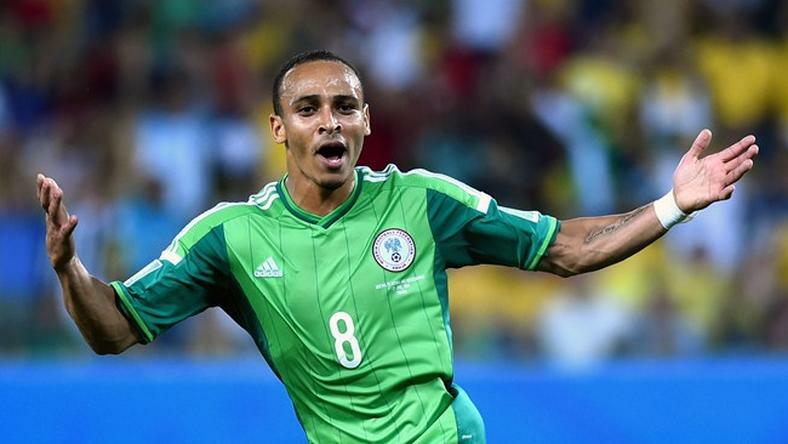 37 year old Former Super Eagles forward Osaze Odemwingie has announced his retirement from football after about two years without a club. Odemwingie who played 63 times for the Super of Nigeria has been without a club since 2017 when he played for Madura United in Indonesia. ''odemwingie_81 - Never an easy decision for any player but yesterday I announced my retirement from the beautiful game ⚽️. What a pleasant journey that was ! With all my heart I want to thank my family, friends, all my coaches, teammates, the staff of all football clubs I played for, referees, all football Associations, my colleagues from all over the world, the press ( not all of them though) but lots of great people and professionals amongst them who play a big role for the good of football and the world in general. This game gave me friends from all over the world and is a strong force that unites people of all races, nations, tribes, religions and faiths. The minimum we owe each other is respect, without which there will be no future for this game. Go and play, support, officiate with only one mindset that the game is for all ! No one deserved life. It’s a free gift. Even animals love a ball 🎾 and they didn’t invent it ! Does anyone has right to say which animal is allowed to play and not be told your neck is too long 🦒? Or you are too slow 🐢? Or too fast 🐆 ? For me- gender, race, tongue, sexual orientation, religion e t c makes no difference because it’s common sense that whoever impressed millions of people and brings joy using their talent brings glory to God almighty ( for some universe, Mother Nature, call it anything so long as you realise you are just a tiny part of this universe and no more significant than any creature existing. Discrimination has no end so zero tolerance to save us all time. For being great is when you can change life’s of those you think you are better without taking credit for it! To whom much is given , much is required ! Simples ! My love to the world and the amazing ⚽️ family. I hope he saved money . Yea, best way to go considering the circumstance you found yourself in. Ah two years without a club? Does that mean he hasnt been gettibg salar yfor the past two years? How has he been surviving? Na wa oh. Football no easy. So no club wanted him again? Its good he retires. Let him face another hustle since football no pay again. He is still young. Less than forty. Great player but very controversial in the National team. That was a late retirement though. Controversial because he fought for the players pay? That's the problem with Nigeria. Even those he was fighting for abandoned him when he was blacklisted by the powers that be in NFA. a striker retiring @ 37 somebody is saying is too early, when then should a defender retire? His wife is gonna be checking out with half of what’s left soon. Or even 75% if she has a very good lawyer. White women have no time for underachieving black men. Now he’s no longer making serious cash, it’s onto the next . This is true. I hope his own will be different though. I love you Peter Osaze Odemwingie. I will miss you dearly. I hope u passed ur talents to 1 of d boys. I love this guy. He fought for something in his life and he was a great player. Most people are armchair politicians and activists. All the best Peter, God gat you. The small number of comments on this post also shows that in life we must be wise and serve God ‘personally’ at all times. Money and fame are transient and nobody truly gives a hoot about you. Live your best live for ‘yourself’ . Enter your comment...Good job guy! you paid tour dues. Go and explore other avenues!